If you read water news, the next three sentences won’t be news. 2015 ranked among the driest years on record in the American West. Water is being trucked into more towns that have been left with empty taps. Agricultural land is sinking by dozens of feet yearly in parts of California, due to decades of unchecked groundwater extraction. There’s a plethora of stories characterizing the severity of the problems we’re facing. And today, we’re scrambling for solutions – legal, social, engineered and natural. So if we could turn seemingly limitless seawater into the valuable freshwater desperately needed to quench this parched country, shouldn’t we? Admittedly, even apart from desperation, there’s something downright novel about transformed ocean water coming out of the faucet. If taking salt from saltwater were that simple. While desalination has been touted by some media and elected officials as a cure-all for California’s water woes, hinging our country’s freshwater future on it means a missed opportunity to consider and implement more resilient solutions. Even where desalination is more accurately described as one option among many, due to our long history of gray infrastructure projects and other social factors, it usually takes up a lot more bandwidth (and planning budgets) than it should. It’s really expensive: Turning saltwater to freshwater remains twice as expensive as treating rainwater or wastewater. Estimates vary by size and location, but according to MIT, water that’s been desalinated typically sells for anywhere between $1,000 and $2,500 an acre foot – the amount used by one or two five-member families in a year. In December, the largest desalination plant in North America opened in Carlsbad, California, to the tune of $1 billion. The San Diego Water Authority committed to purchasing the output of the plant for the next three decades for between $2,100 to $2,300 an acre-foot. That’s compared to the $923 per acre foot they used to pay for treated water, and as consequence, San Diegans can expect water bills to jump by $5 to $7 per month. Meanwhile, conservation and efficiency measures on agricultural lands can bring the cost of an acre foot down to as little as $150. It takes a whole lot of energy: Desalination is the most energy-intensive way of obtaining freshwater in California. It takes most desalination plants between three and 10 kilowatt-hours (kwh) of energy to produce one cubic meter of freshwater. Traditional drinking water treatment plants use well under 1 kWh per cubic meter. The Carlsbad plant will use enough electricity to power 40,000 California homes for a year. In effect, at scale we’d be trading water shortage problems for climate problems. Time is also a factor. It took 15 years to plan, permit, design, and construct the San Diego facility. If the last year has taught us anything, it’s that we can’t afford to wait decades to implement solutions. We need them now. And for all that time and energy, the ROI isn’t good: While 100 million gallons will be taken into the San Diego facility, an estimated 54 million gallons of freshwater will be returned for use. That meets the needs of approximately 7 percent of San Diego County or approximately 300,000 households. With two-thirds of the world’s population expected to live in a water-scarce region of the world by 2025, desalination will certainly not address growing demands. It’s not resilient: “Let’s not put all our eggs in one basket” applies here. Centralized facilities can put our sources of freshwater at greater risk of being impacted by dramatic natural disasters. Alternatively, upgrading efficiency measures, paying individual farmers to implement water conservation and soil health improvement actions, removing thirsty, invasive species at a watershed scale, refining western water law to incentivize appropriate water usage, and implementing best practices with major water users are dispersed solutions that will ultimately provide more reliability to the millions who depend on clean, healthy water nationwide. And we’re not getting to the heart of the problem: We’re taking our straw from one seemingly endless supply of water– our rivers– to another glass – our oceans – without evaluating how we can better manage what we have. By working with the agricultural sector – the largest user of water in the country – to do more with less, the outcomes could be greater and longer-lasting. Adjusting cropping practices and irrigation systems and purchasing excess water rights could make a significant difference. Wastewater recycling and storm water capture and infiltration should be developed even more rapidly. Every single day, Los Angeles Public Owned Treatment Works dumps the treated equivalent of the 7th largest freshwater river in the nation into the ocean. A huge portion of the heavy rains that California has just received has quickly gone to the ocean as well, due to lax storm water regulations that don’t require much infiltration into groundwater and aquifers. Fixing the freshwater problem in front of us will require cultural shifts, and these can often be much more socially complex hurdles than pulling salt from water. Yet this dire situation demands it. Don’t get me wrong. It’s not like desalination is a snake oil pitch. It was one of man’s earliest forms on water treatment, and there are more than 17,000 plants across 150 countries. But while it may remain in our toolkit for tackling our water problem, we can’t let the option that’s shiniest in our desperate times blind us from the others. After all, we’re talking about water here. The stakes for getting it right for the long-term couldn’t be higher. 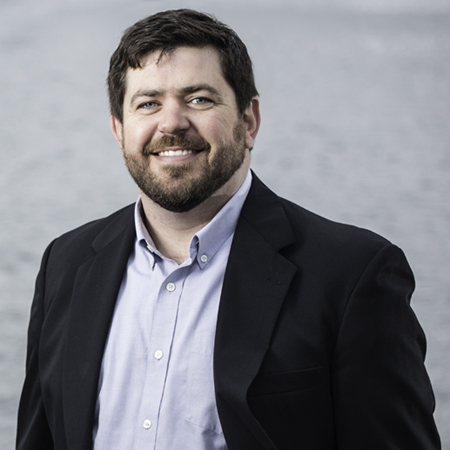 Alex has led the analysis, development and implementation of some of the first water quality trading programs in the Pacific Northwest. He has deep experience working directly with private and public entities to develop watershed restoration solutions for Clean Water Act compliance or to achieve voluntary conservation goals. He currently directs The Freshwater Trust’s engagement with new partners and programs, and in developing the financial mechanisms and models necessary to achieve scalable environmental outcomes nationally. Alex holds a BS in Economics and a Certificate of Markets & Management from Duke University, and is also a member of a two-state family farming operation that produces wheat, barley and timber.